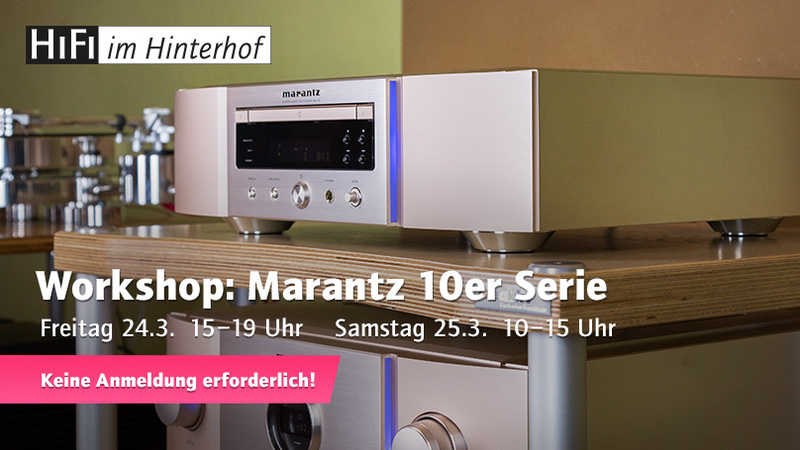 As announced earlier, the traditional manufacturer Marantz will be playing a bigger role in our HiFi program in the future, so all the more reason to look forward to the Marantz workshop taking place in our retail store 24th and 25th of March 2017. The event is dedicated to the new 10 Series, consisting of the CD / ACD / HighRes player Marantz SA-10 and the reference Marantz SA PM-10 intergrated amplifier, which we will accompany with the B & W 800 D3 as part of the workshop. The exceptional combination of senior electronics engineer Rainer Finck, who has accumulated decades of experience in the field of digital audio at Philips and Marantz, has been presented, and has played a decisive role in the development of the 10 series, so that we are not only very impressive but also very knowledgeable Lecture. The workshop will take place on the 24th of March from 3pm until 7pm and on the 25th of March from 10am until 3pm.